Maybe you thought the whole mirror thing was a myth, but guess what? It’s not. In fact, Homepolish interior designer Emma Beryl recently explained everything you need to know about making this trick work for you. And, as Helmuth notes, there are plenty of interesting embellished mirrors on the market right now that are just as good as an artwork to hang on the wall. Plus, all the better for taking selfies with. “In order to keep things minimal, many of my clients don’t want to use decorative drapes in a small space. 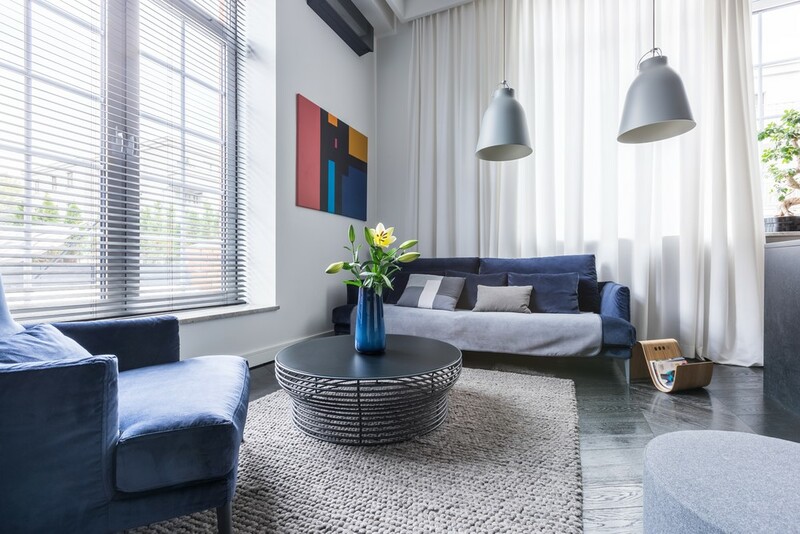 However, drapes help to draw the eye up, taking the focus off the small amount of square footage and making any space feel grander,” says Helmuth. Drapes! How fabulous. And also: how intimidating! Drapes can be tricky because they have to fit the window properly, and also, if the window in question doesn’t already have a rod attached, you’ll have to install one. It is, as they say, a whole thing. If you’re up for it, we recommend consulting this Homepolish guide to all things windows, heading to Anthropologie (which, in our experience, has a surprisingly fun and extensive selection of fabrics and patterns), and maybe even hiring a TaskRabbit to help with install.